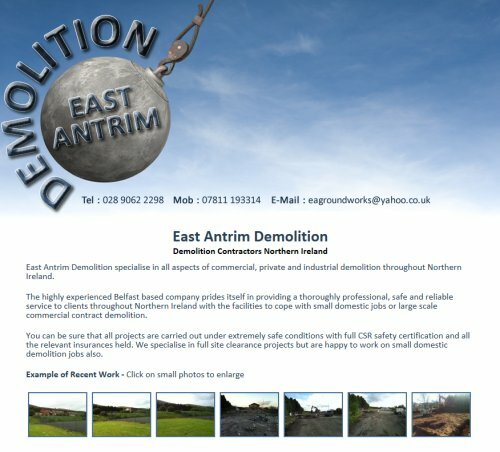 East Antrim demolition provide a wide range of Demolition services throughout Northern Ireland. This is an example of a small budget site that we are happy to produce for clients to get them an initial web presence, once they are happy and see how a website will work for them they can then build more pages to the initial site. The site utilises a photograph gallery system.